In Moscow, a celebration. One date symbolically sutured the two Russian cities: June 27. On that day, in 1954, the world's first nuclear power station hummed into life in Obninsk, producing electricity till 2002. 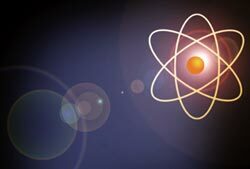 On that day 50 years later, 500 scientists and policy makers from 32 countries attended the inaugural of a week-long conference on nuclear power: 50 Years of Nucler Power -- the Next 50 Years. As an orchestra played Swan Lake, a magician turned a snake into a red handkerchief and vodka flowed -- some stereotypes simply cannot be jettisoned -- International Atomic Energy Agency (IAEA) director general Mohamed ElBaradei told the conference: "Life begins at 50." He said in his keynote address: "As the world warms up and energy consumption induces climate change, nuclear energy remains the saviour for the future," adding that "without adopting nuclear energy, the Kyoto initiative would turn turtle and the world would add more greenhouse gases. An uncertain future for nuclear power means an uncertain future for the Earth." This was the conference's pitch: revive nuclear. And if the reference to climate change was astute as well as fashionable, the point had been made: the public must be made to accept that nuclear power is a clean and reliable energy source. But when scientists moved to Obninsk, late in the evening of June 27, to discuss the future, the mood was despondent. 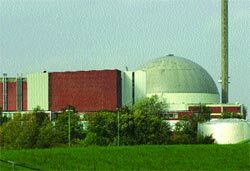 Fears regarding proliferation would keep nuclear energy production restricted. 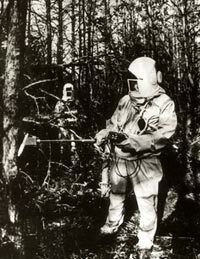 As ElBaradei put it: "We haven't recovered from Chernobyl. The problem of nuclear energy is massively based on public perception." We could add: the Three Mile Island disaster in USA, or the greatest one: wasn't this a kind of energy the world first witnessed in the form of the atom bomb? Since then people hadn't differentiated between the bomb, and peaceful uses. Nobody knows this better than Anatoly Sktyfurko, director of Obninsk nuclear power plant for 32 years. "This power plant is a chronology of world nuclear power," he said. About a decade ago, Obninsk opened its doors to the world, showcasing its technology. 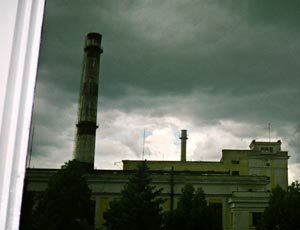 Suspected to be a weapon research facility, Obninsk's perestroika was a sign that nuclear establishments were changing. The plant is now struggling to dispose off spent fuel, and poor funding could make decommissioning drag into years. When L A Kochetkov, one of the core group that designed and built the plant, talks about these problems, he could be talking about all of nuclear energy today: "Challenges are there but that doesn't discount the role of nuclear energy in the future." The conference's mandate to promote nuclear power as the sole reliable source of energy in the 21st century goes back to the 2002 World Summit on Sustainable Development (WSSD) in Johannesburg, South Africa. The WSSD had refused to admit the role of nuclear energy in sustainable development, but had said: "the choice of nuclear energy rests with countries." The IAEA, now embroiled in a controversy over proliferation as a bullying tool, read in this statement a chance to push peaceful uses of nuclear energy. With nearly 60 countries announcing their grim determination to produce nuclear energy, what better forum could IAEA get to form a consensus among its member nations? It indeed tried to do so, but failed: concerns regarding proliferation and the environment overrode this agenda. A 100-odd papers into the conference, it became clear that nuclear energy faced two challenges: environmental and political. Concern for the environment wouldn't give it public approval, and after 9/11 sharing nuclear technology has become a political minefield. Other challenges existed: aging infrastructure and developing technology to prevent proliferation, as Y A Sokolov, deputy director general of IAEA, put it. "By 2010 we need to demonstrate that the most pressing problem of waste disposal has been addressed, or we will continue to have a pessimistic image of nuclear energy," he added. In the end, participants agreed that military use had driven nuclear development for 50 years. What would the driving force be in the next 50?